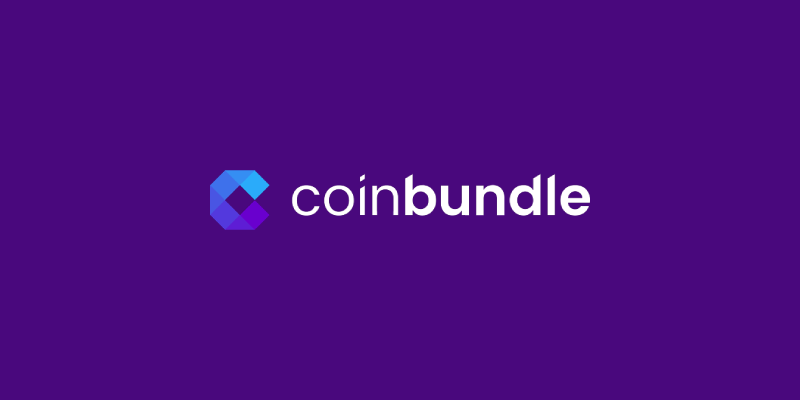 CoinBundle: Get free BNDL tokens from crypto-investing platform!!! CoinBundle is a blockchain project in the crypto world giving away free tokens. So I’m more attracted to this kind of project than let’s say something related to fashion… See what I mean? And their mission is to make crypto-investing available to everyone. How? By creating bundles of cryptos. And that’s pretty clever. Because that way you can minimize the risk of your investment, by distributing it across a range of assets. And if you don’t know how to invest, their crypto-financial experts designed bundles to produce the best results. So instead of looking at each crypto-currency, you can only look at their bundles. And make up your mind from there. Also, it will allow you to buy bitcoin, to buy ethereum or any other crypto-currency from one platform. So you don’t have switch between exchanges, learn how to use each platform. And you can avoid going through all the ridiculously painful KYC processes. See, there are many advantages of using CoinBundle! And there’s more! They have a feature called auto-invest. When enabled, you can automatically deposit a fixed amount into your investments every month. Finally, the platform is free! There are no membership or transaction fees. So it means you can invest 100% of your available funds. Of course, you should invest only what you can afford to lose. Don’t put your life in jeopardy over a crypto! CoinBundle token or BNDL token is a utility token for the platform. From their Smart Contract, I guess it’s based on the ethereum blockchain. But there isn’t any mention on their website. I found out that they’ll issue a total supply of 1,000,000,000 (1 billion) BNDL tokens. How to get the free BNDL tokens? During CoinBundle airdrop, the team will distribute 30,000,000 BNDL tokens to attract early adopters and grow their community. It’s limited to 30,000 participants, so hurry up! To join the airdrop, you need to visit this page. And sign up for their newsletter. To do so, scroll down until to the “Invite your friends and earn up to 15,000 BNDL ($900 estimated value)” section. And fill in your first name and email address. Then click on Sign-Up now. Follow their Twitter account. And then retweet this post and comment on the original post. Like and follow their Facebook page. And share this post. Finally, fill in their participation form: https://goo.gl/forms/dCuk8OpWr5wKy6bn2 . You need to input your email address, your Telegram username, your Facebook link and your Twitter link. And then the links of the posts you shared on Facebook and Twitter. Finally, input an ERC-20 wallet address. And click on Submit. You’re done! And you should get free BDNL tokens 4 weeks after the airdrop campaign finishes. Last but not least, you can get get up to 15,000 free BNDL tokens with their referral program. And you’ll get 100 free BNDL tokens for every friend that signs up. You can find your unique link on the page after registration, in the section “Already earned your tokens in the airdrop?”. And if you’ve already closed the window, you can click on the button Start Inviting in the welcome email. Hurry up ladies and gentlemen, the second airdrop is live for 12 days only, during which 2,000,000 BNDL tokens will be distributed. First of all, if you haven’t registered yet, click here. And sign up for CoinBundle newsletter. Fill in your first name, last name and an email address. Then click on Sign-up Now. Finally, click here to fill the airdrop form. And fill in your email address (make sure it’s the same as the one you use previously), the links to your social profiles and the link to your Facebook post. Lastly, click on Submit. And you’ll receive 50 BNDL tokens for each social media task (100 total). Also, the referral program is still on. So for every verified referral, you and your friend will get 100 BNDL tokens each! Share your unique link with as many people as possible! CoinBundle is trying to make the crypto-world accessible to everyone (even people that are not tech-savvy), by offering tailored bundles of cryptocurrencies. And they're giving away free BNDL tokens. Claim yours now, because supply is limited!